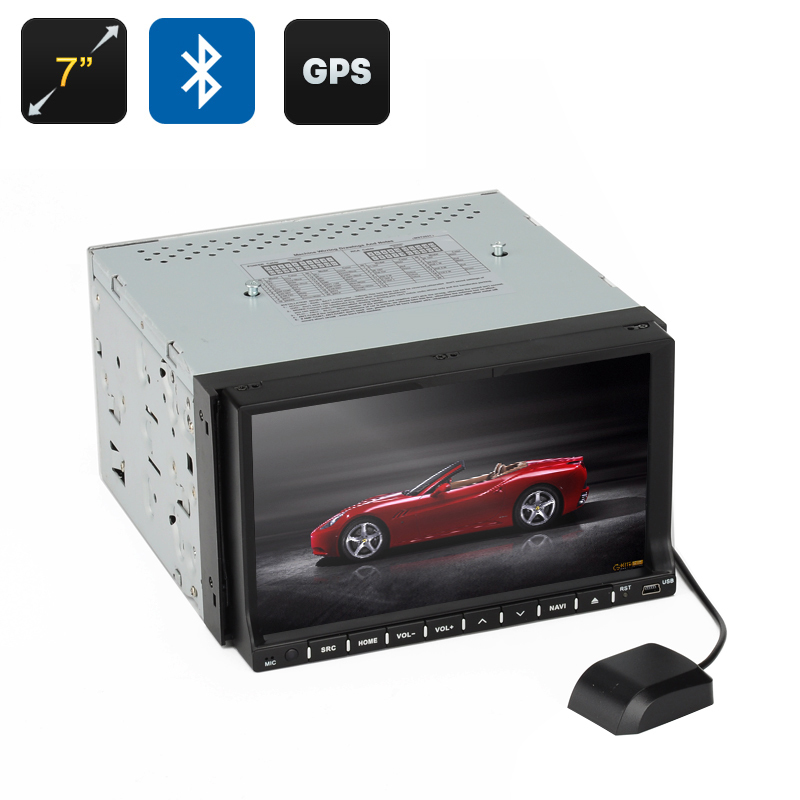 Successfully Added 7 Inch 2 DIN Car Head Unit - GPS, Win CE, Touch Screen, 90 Degree Tilting Screen, Bluetooth, 3D Interface to your Shopping Cart. With it 7 Inch tilting touch screen display, 3D dynamic interface and spot on GPS location this car DVD player and navigator does exactly what you need it to without any fuss. Its proficient GPS module has a highly accurate porcelain antenna and allows you to load the maps for your region via a dedicated Micro SD card slot, with the Windows CE system you get support for a wide range of navigational systems so there's an option for everyone. Utalise the AV Video input and you could connect this car DVD player to a review backup camera to make parking easy on as you can seee everything on a large 90 degree tilting 7 inch display. With this 7 Inch 2 Din head unit you can keep everyone in your car entertained. It has a three channel, treble, bass and middle output with impressive equalizer that can be changed to for whatever music your enjoy the most. Being region free allows you to use almost any DVD in this car entertainment system and with a 7 inch screen all the passengers can enjoy quality entertainment. What's more with video outputs you can add in extra monitors so back seat passengers can have their own display. It's a fantastic way to occupy the kids and takes the stress out of those long journeys. You needn't worry about missing any calls while on the road as with Bluetooth technology you can sync your phone directly with this in car DVD player and enjoy hands free communications making it safe to take a call while driving without your hands needing to leave the wheel. This 7 inch car DVD player and GPS comes with a 12 months warranty, brought to you by the leader in electronic devices as well as wholesale car head units..
Any attempts to modify the default OS will void the warranty. As a wholesaler, we provide no software support, advice, or training regarding the Windows operating system and software.